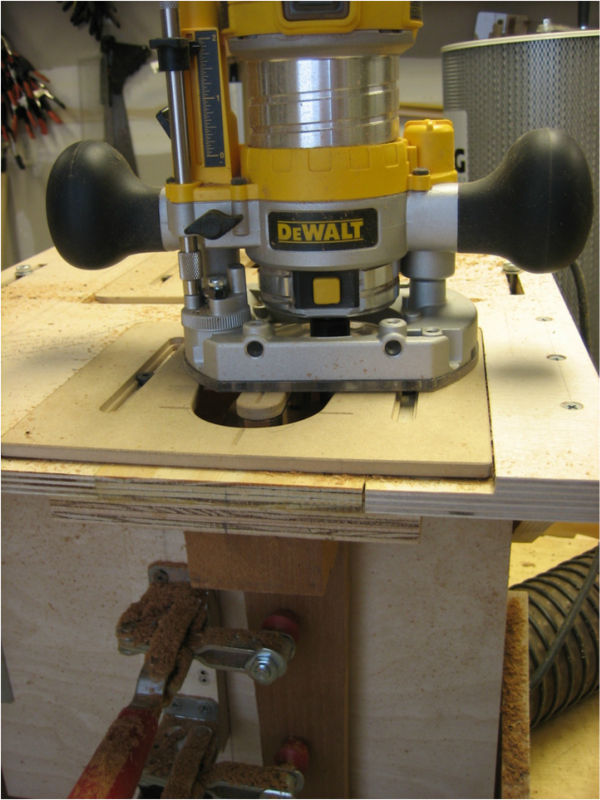 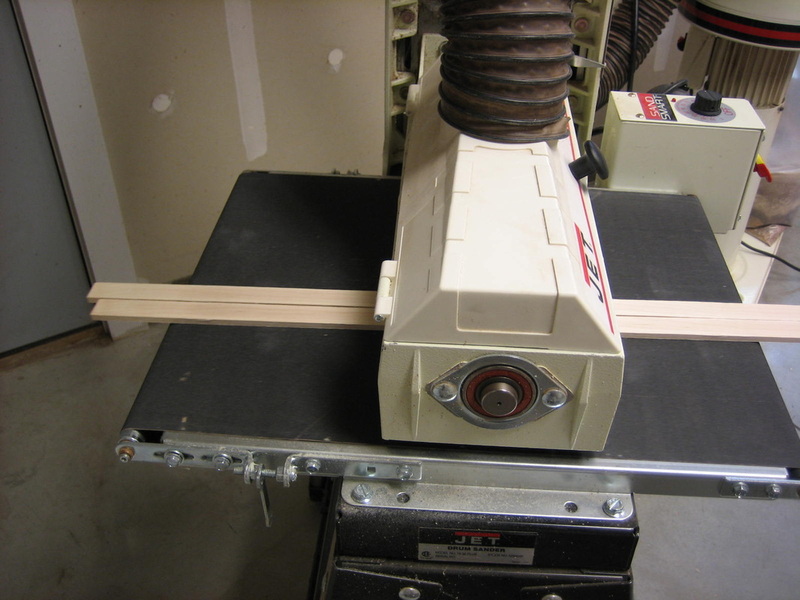 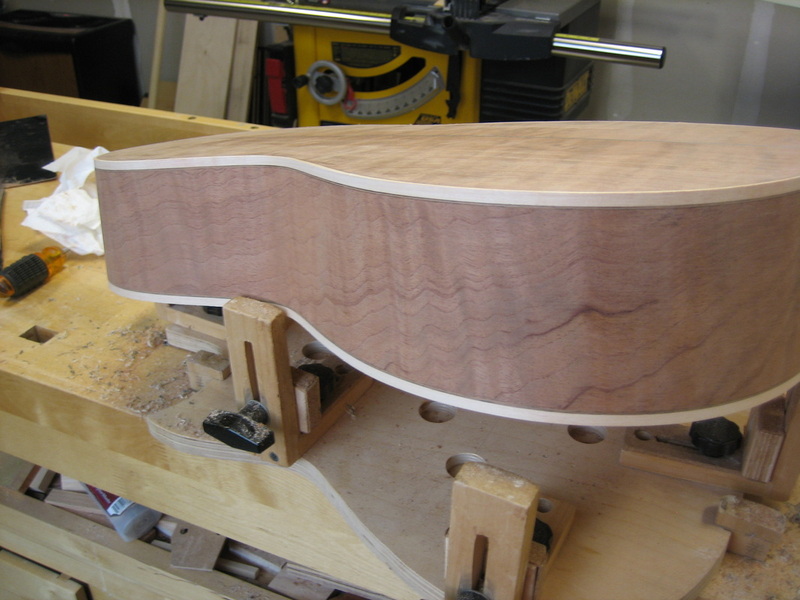 I am making a small bodied guitar for Mick S. Mick is an accomplished wood worker and I'm sure he would be able to make this guitar for himself. 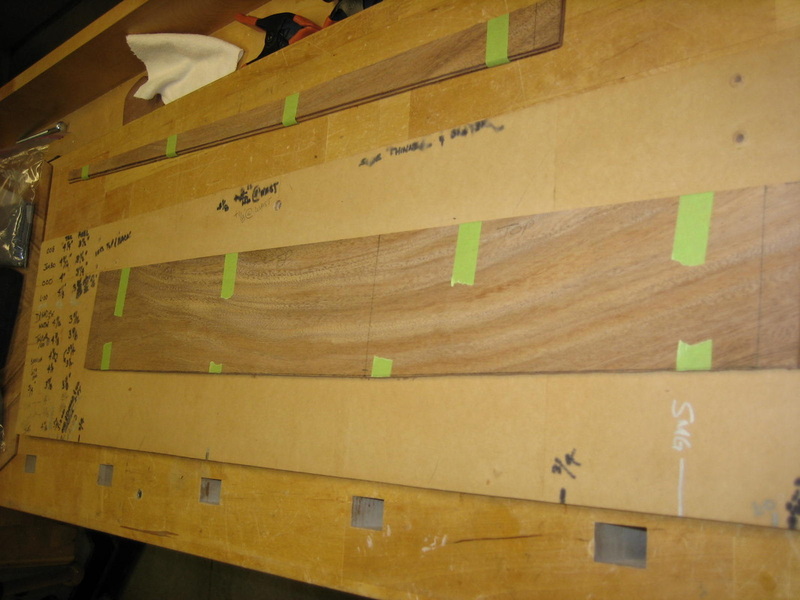 Mick does spectacular wood work building heirloom cabinets, beds, cribs, boxes, cars, airplanes and just about anything else. 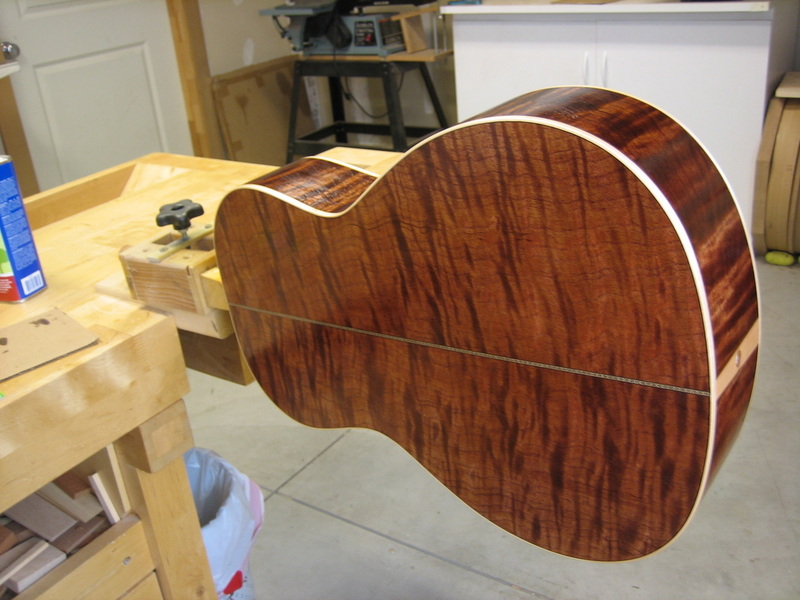 So, I am quite excited about him asking me to make his guitar. 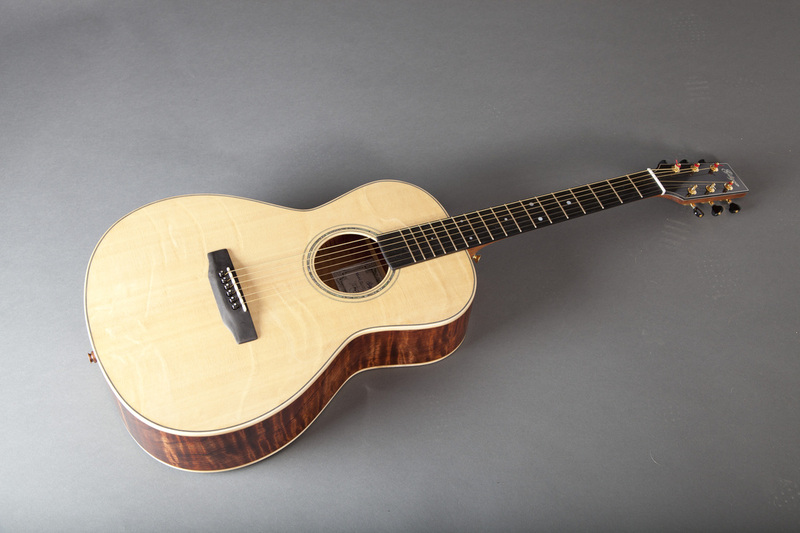 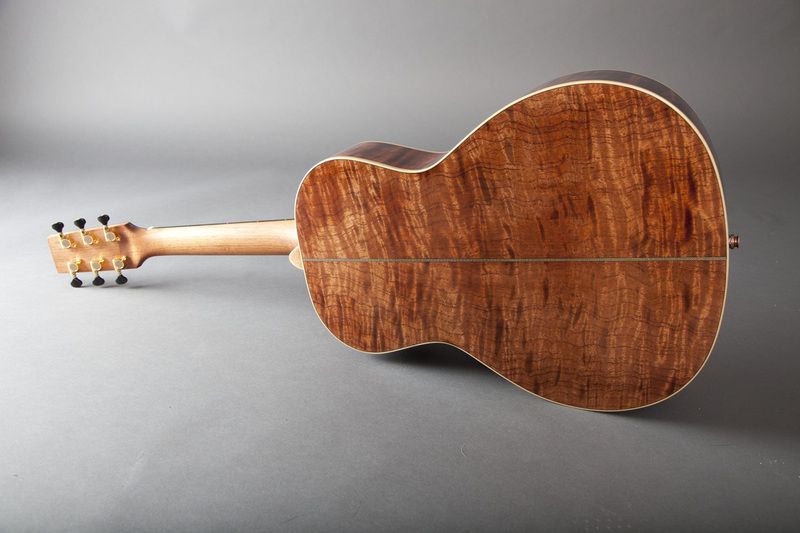 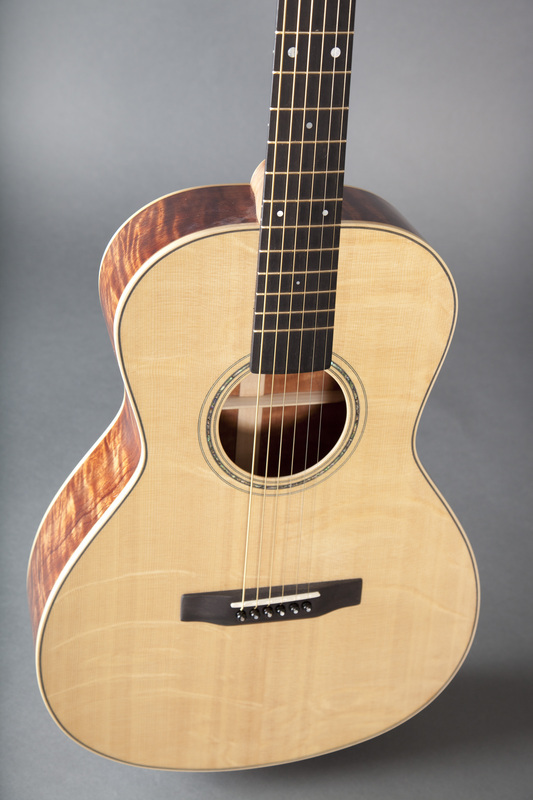 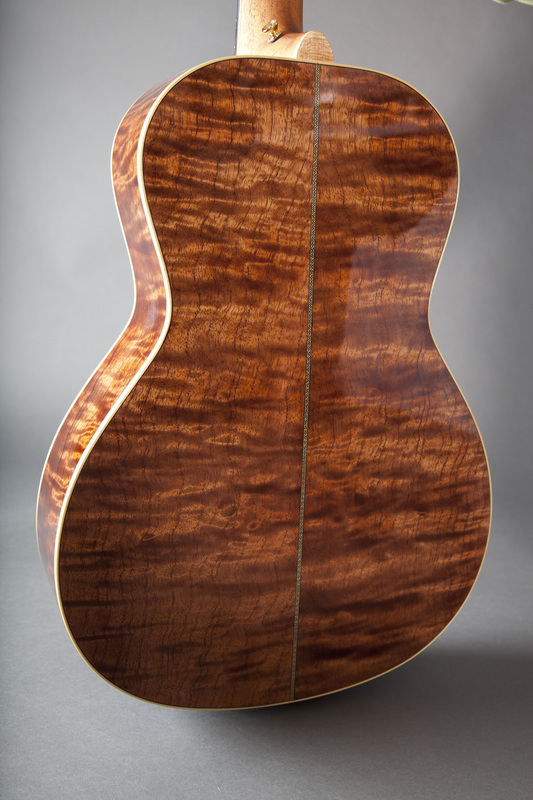 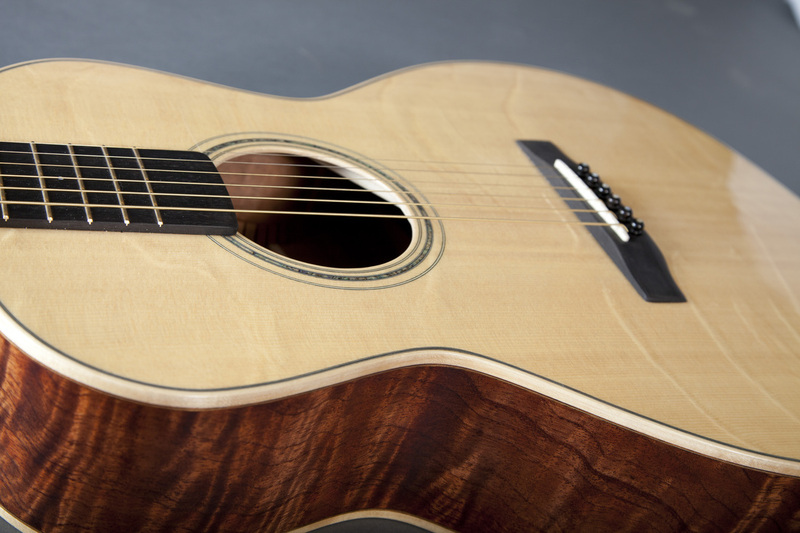 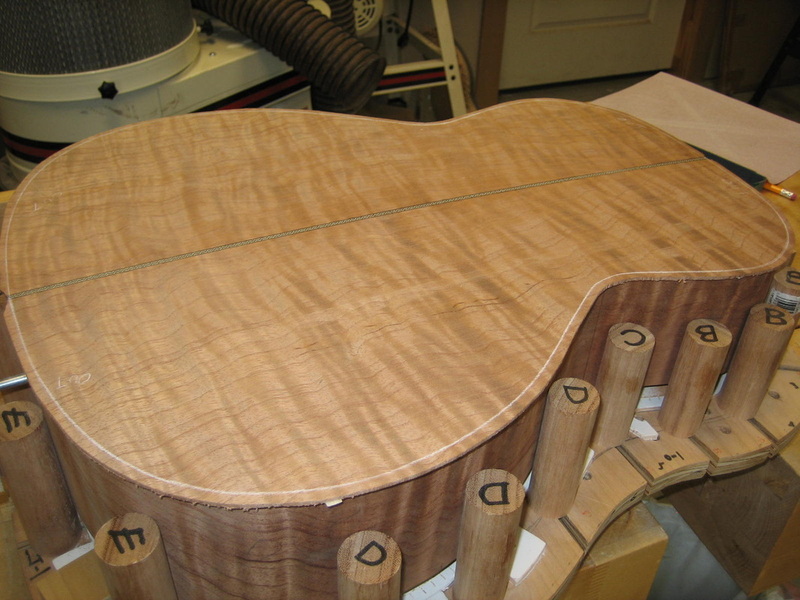 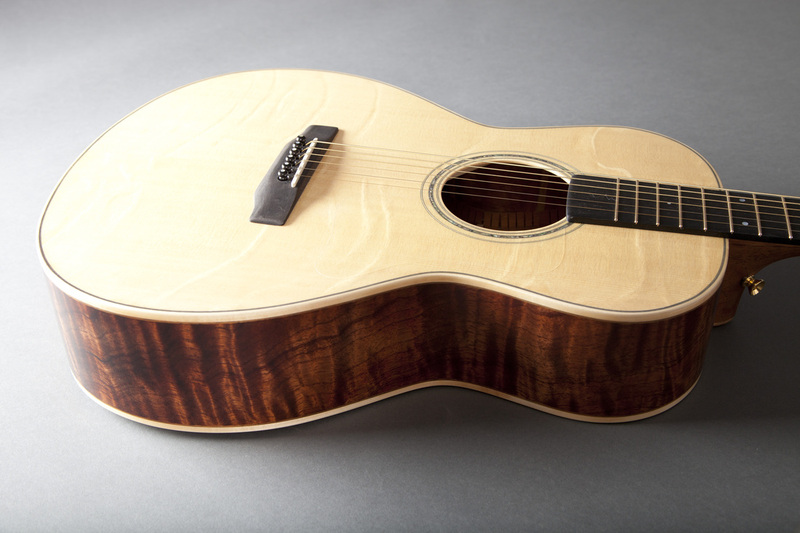 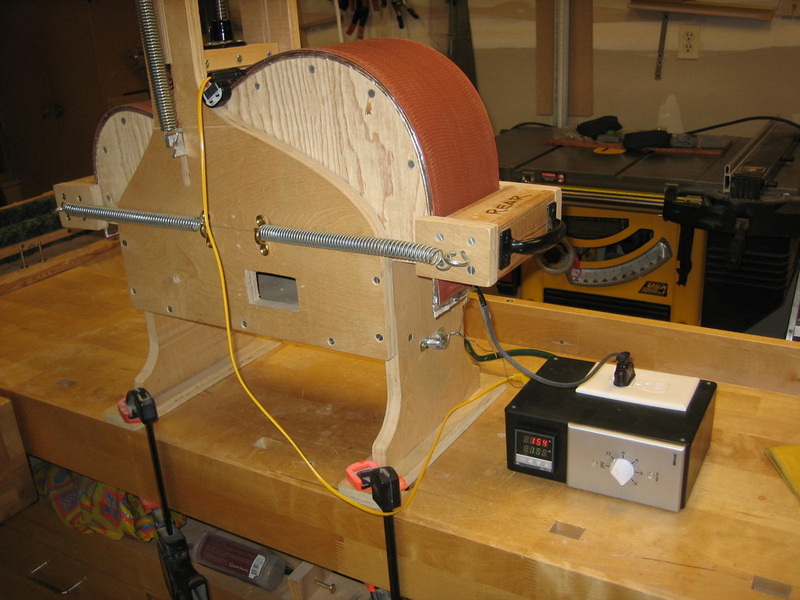 Mick has chosen a Red Mountain Spanish Cedar back & side set that has a uniform curly figure. 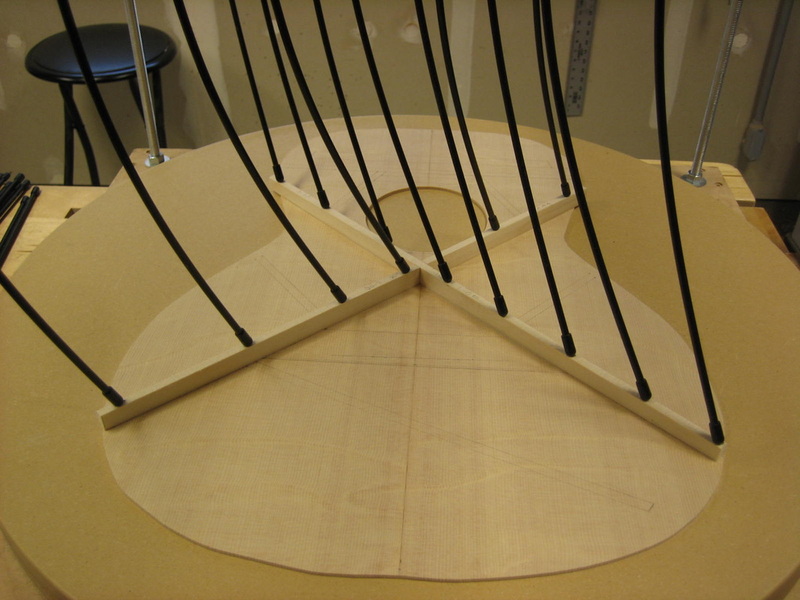 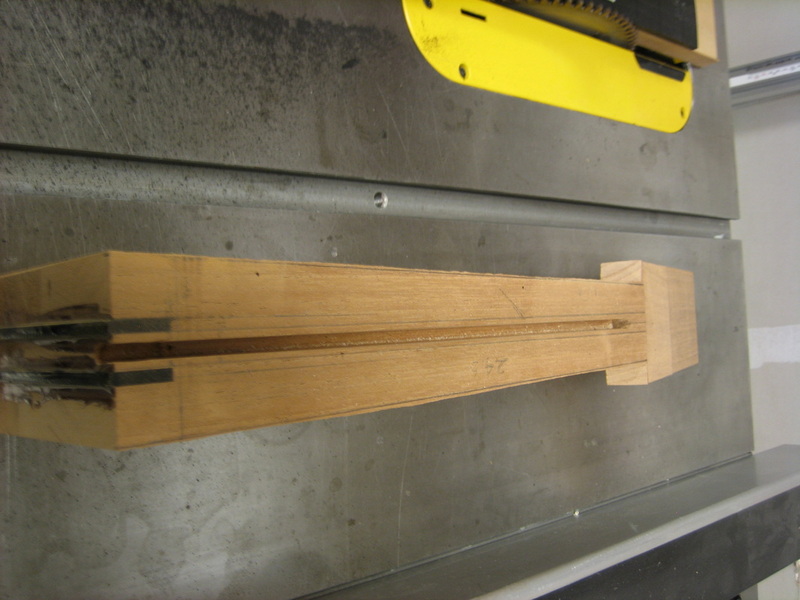 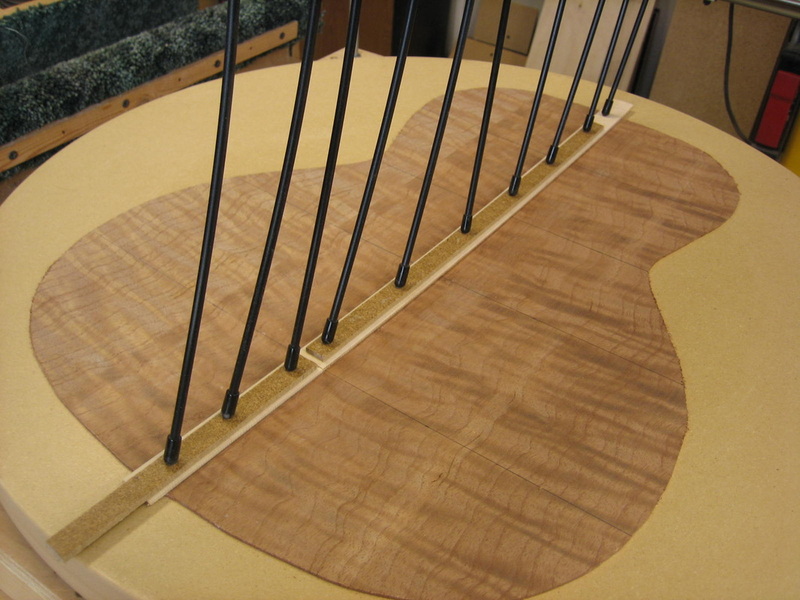 The sound board will be extreme bear claw Sitka Spruce. 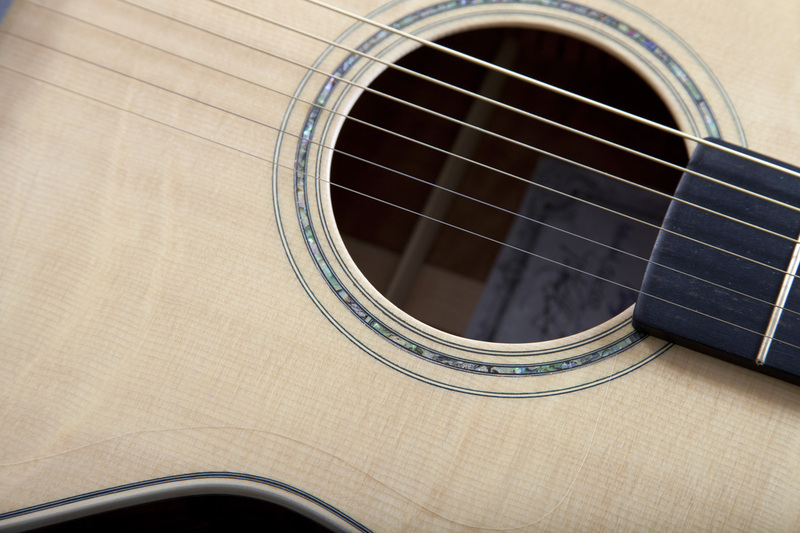 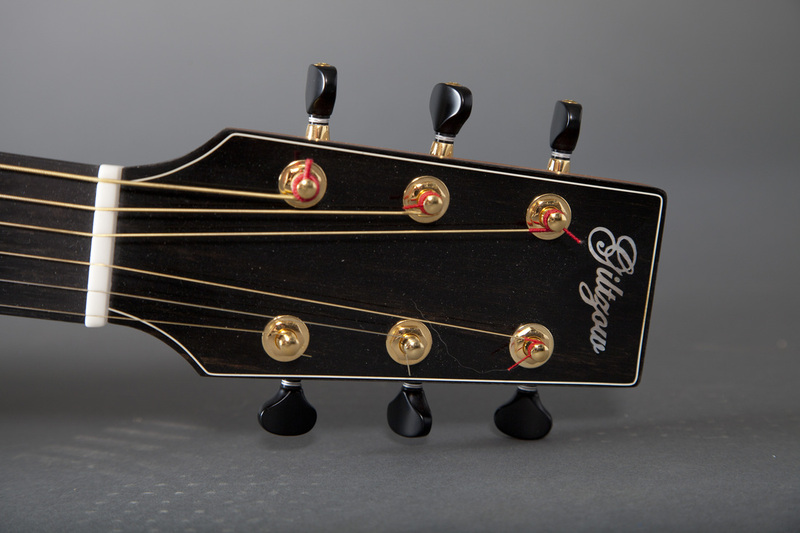 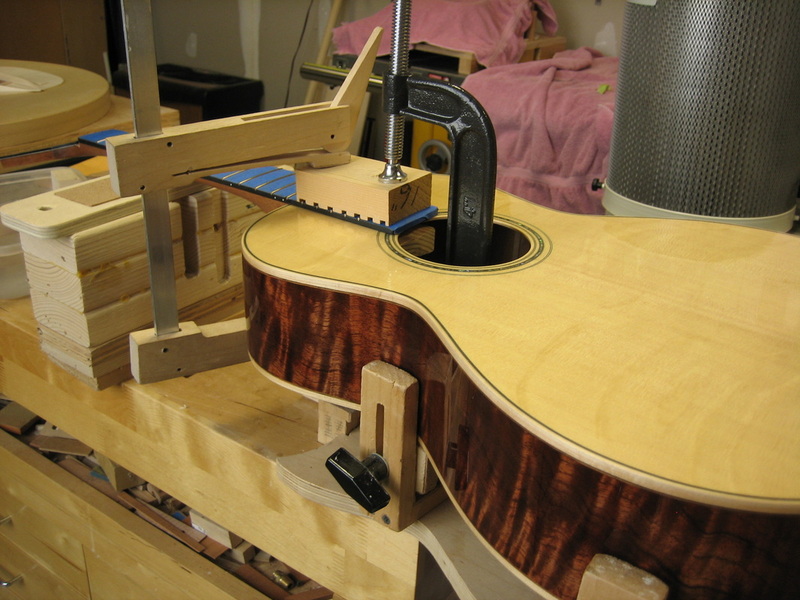 Mahogany neck with ebony fret board, bridge and peg head. 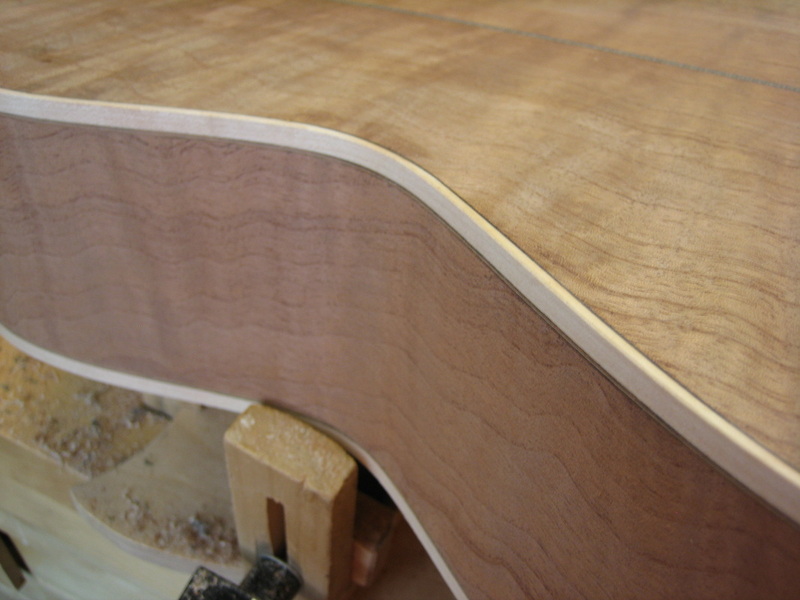 Sides have been bent and heel & tail blocks have been installed. 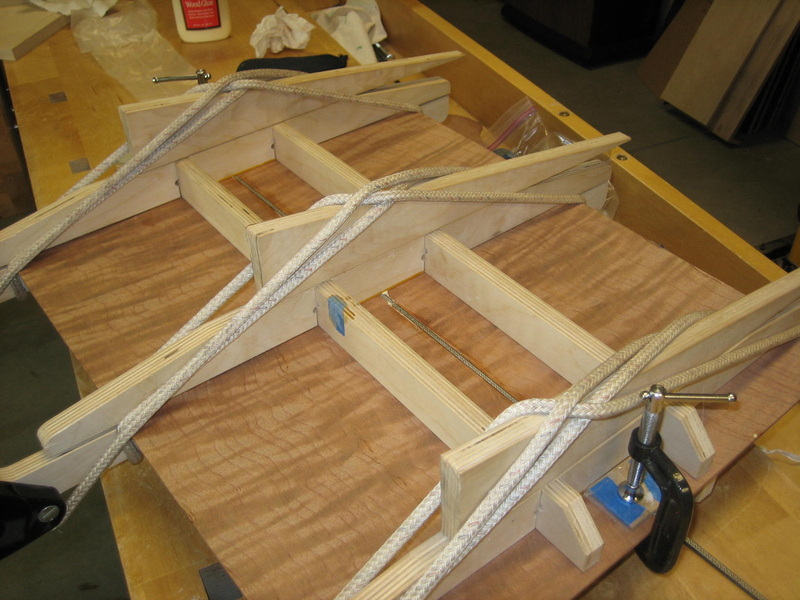 Kerfed linings for top and back glueing surfaces have been glued to sides and side reinforcing is being glued in the picture below. 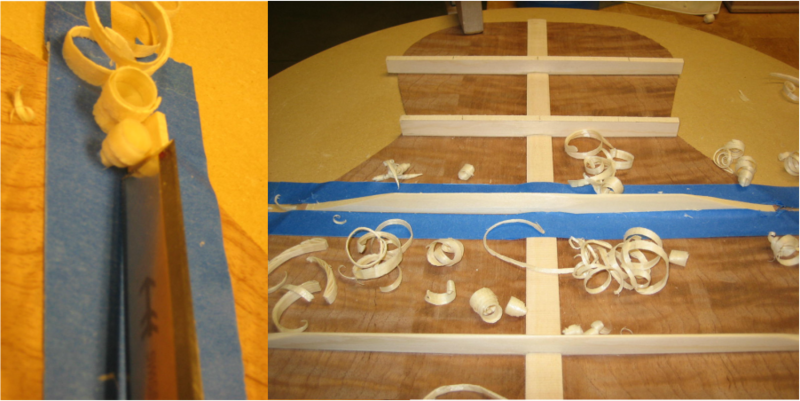 The sound box has been sanded and is getting the pours filled in the pictures below. 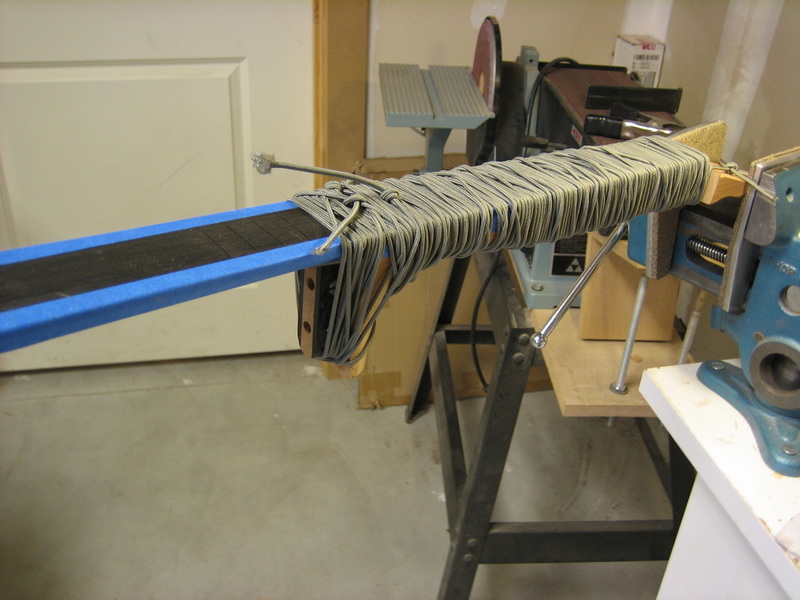 I use a finishing epoxy to fill the pours. 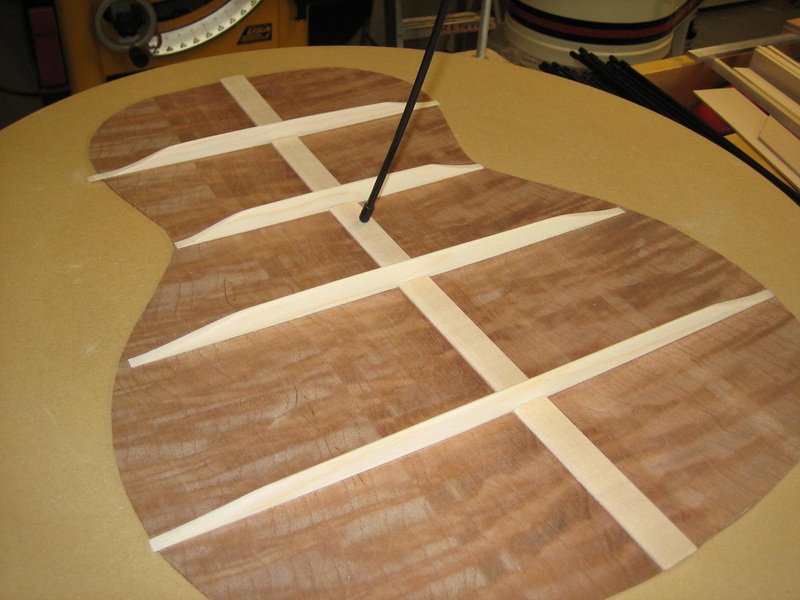 The color of the Mountain Red Cedar is really starting to darken up and the figure is coming out. 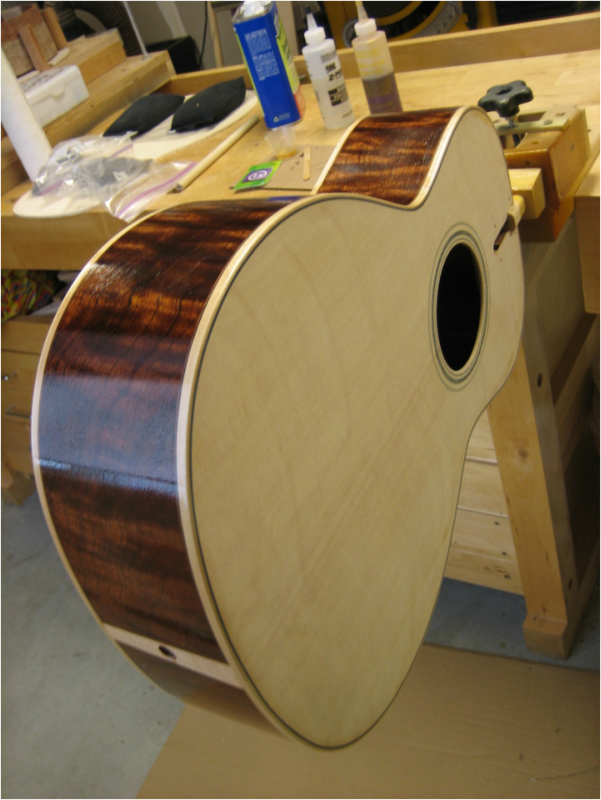 The sound box has been sprayed with finish and will now cure for 3 weeks before sanding and buffing. 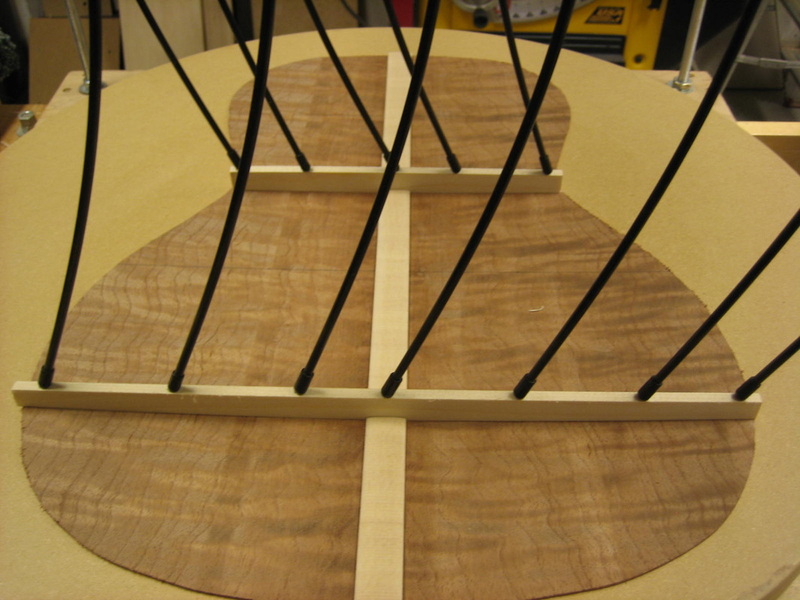 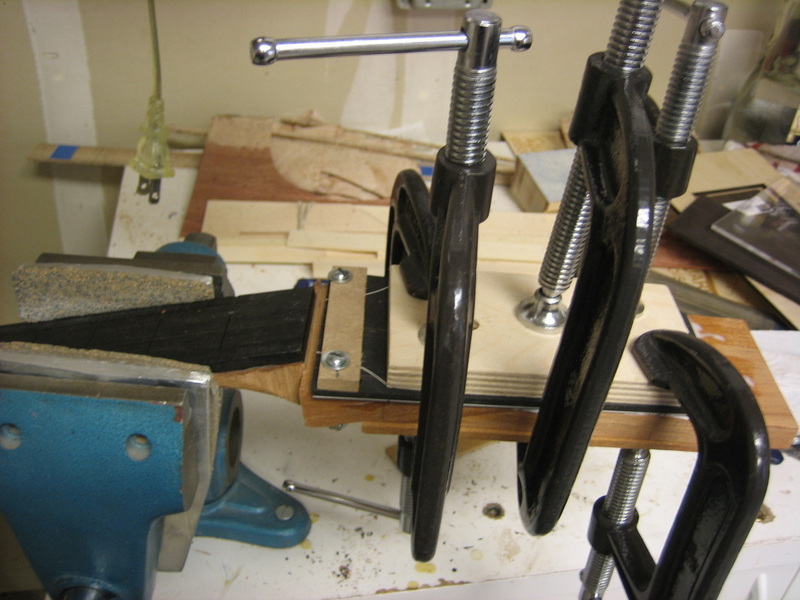 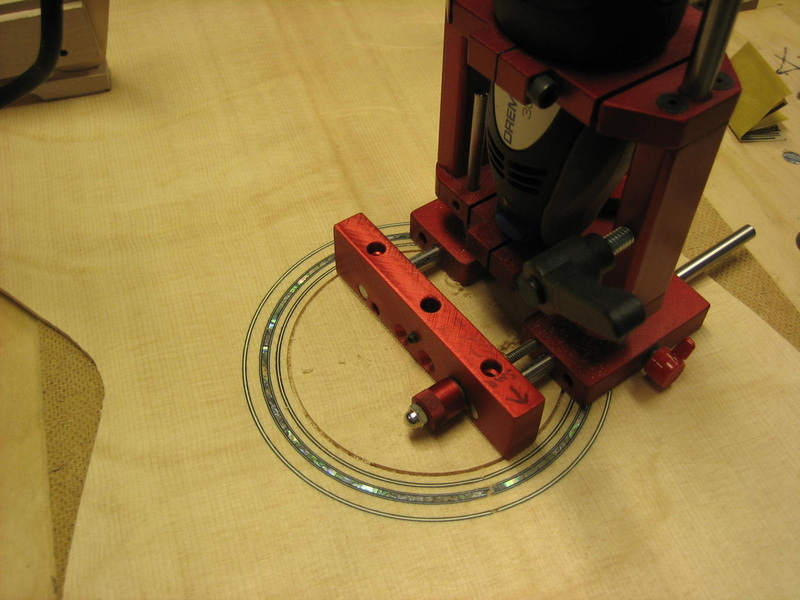 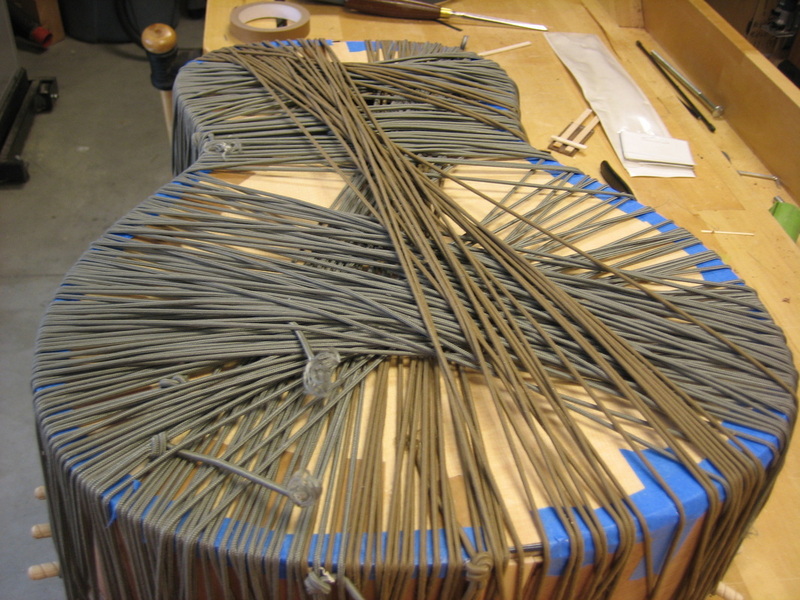 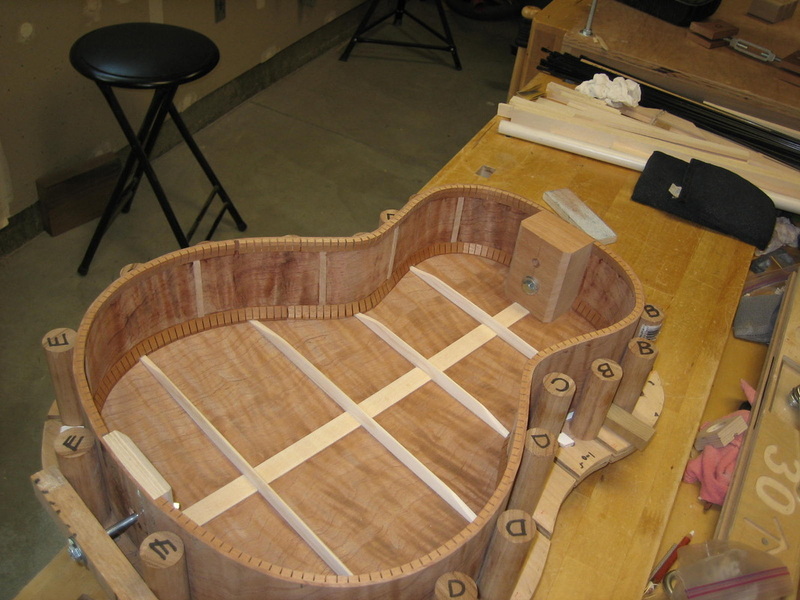 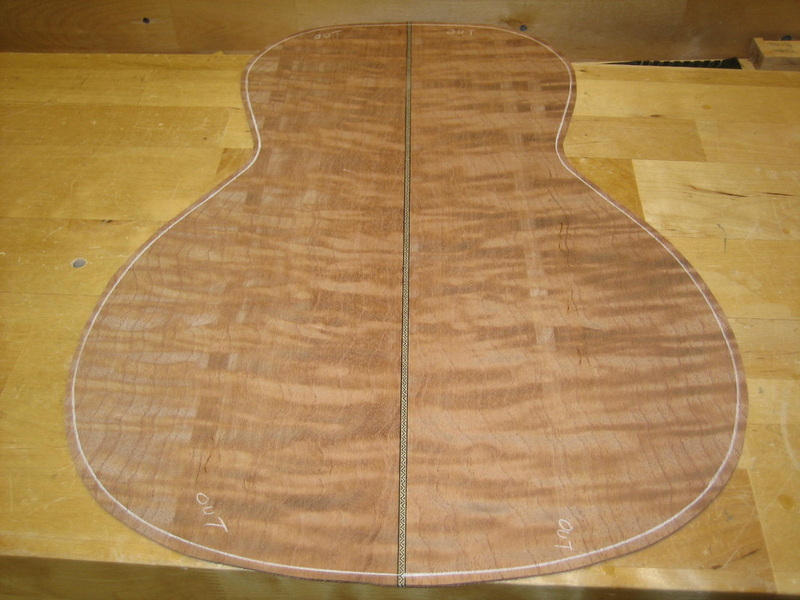 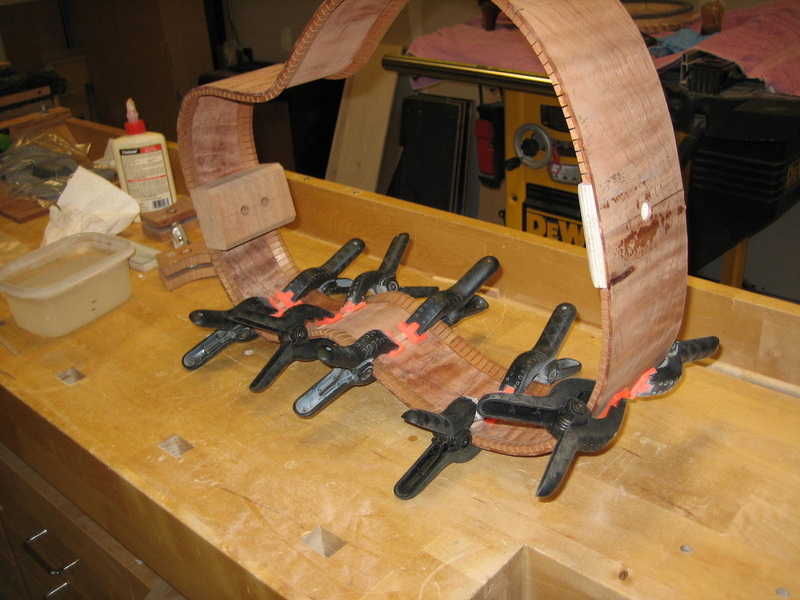 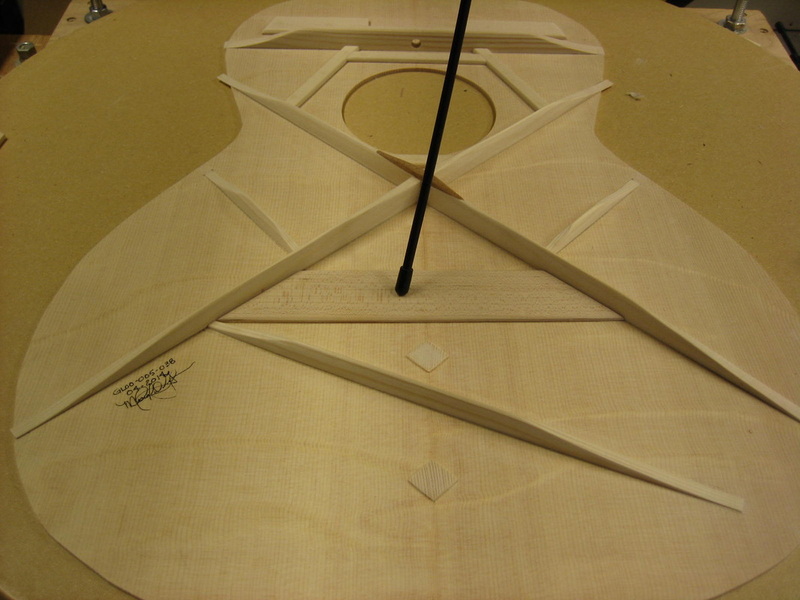 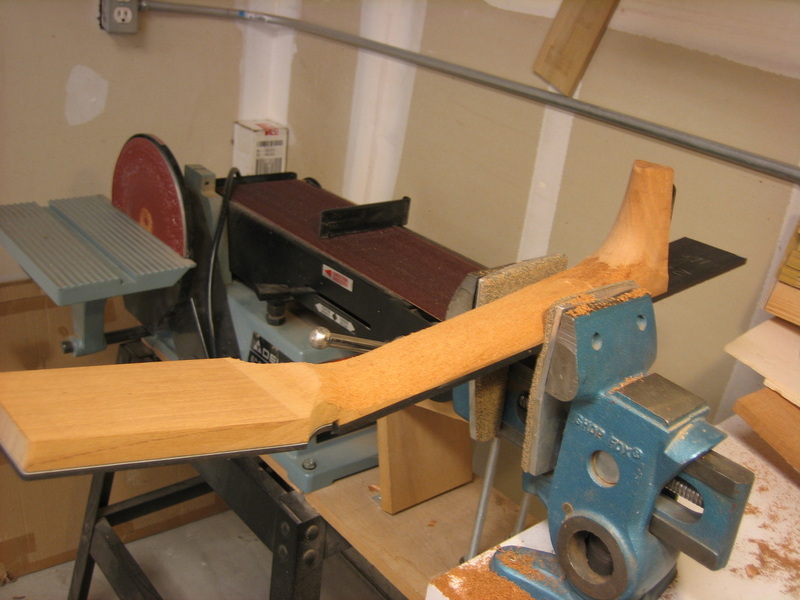 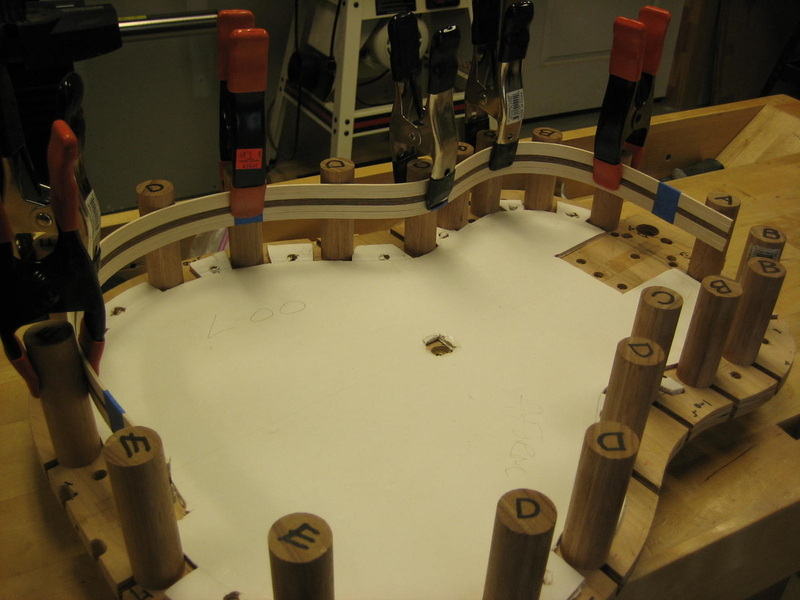 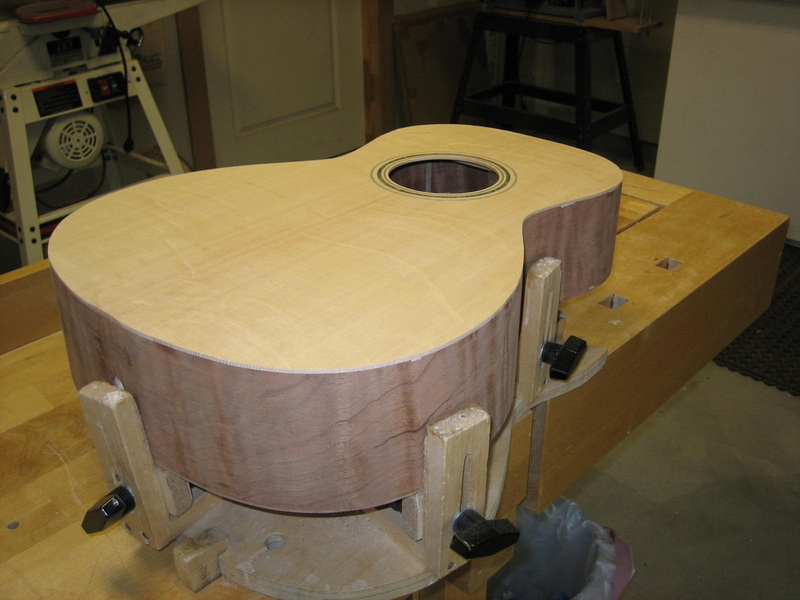 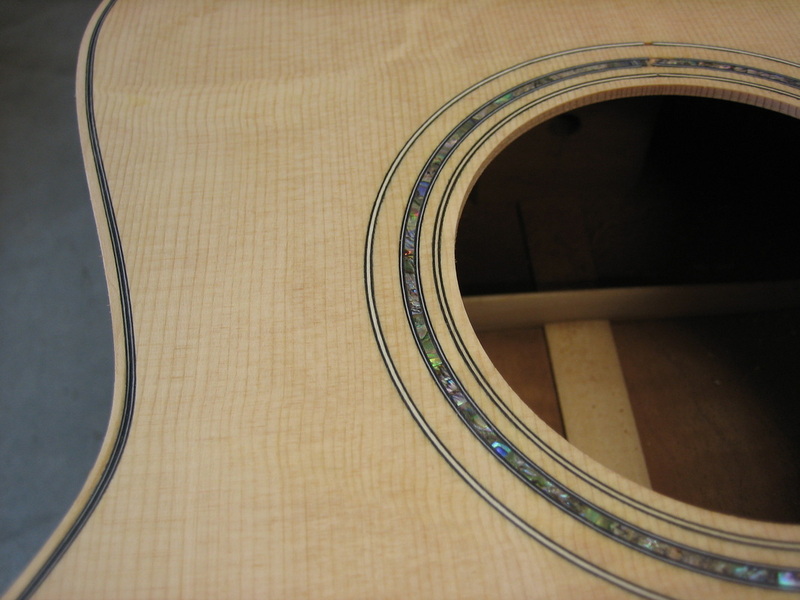 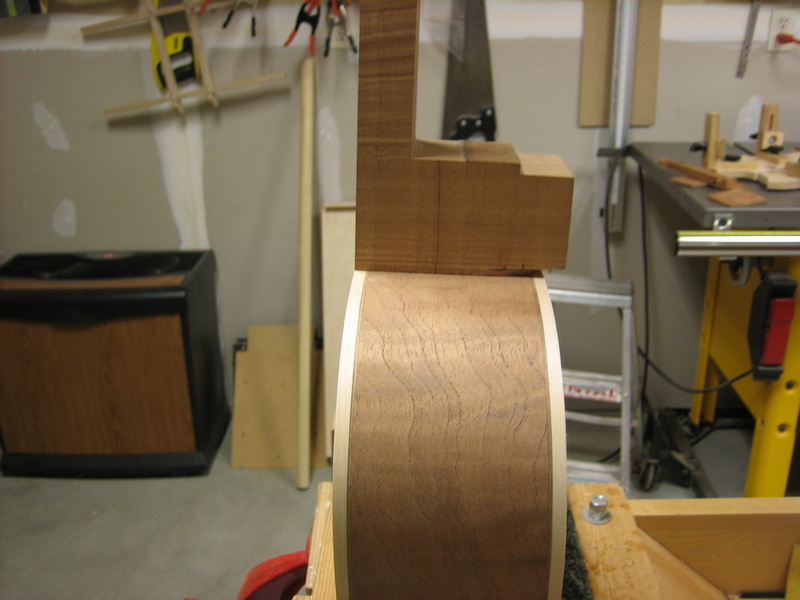 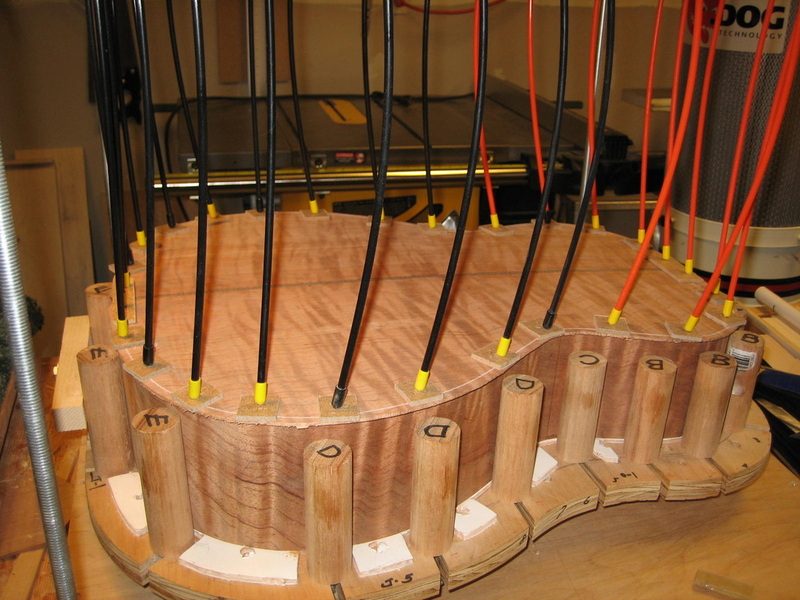 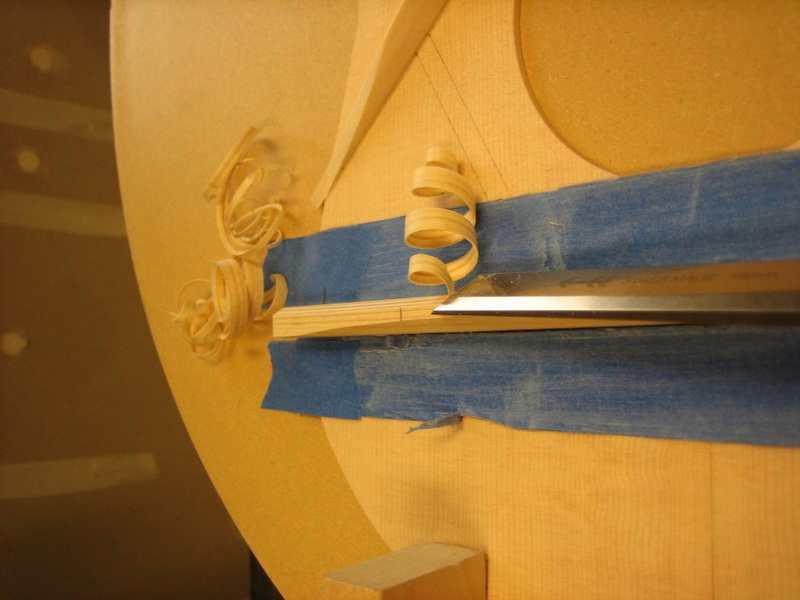 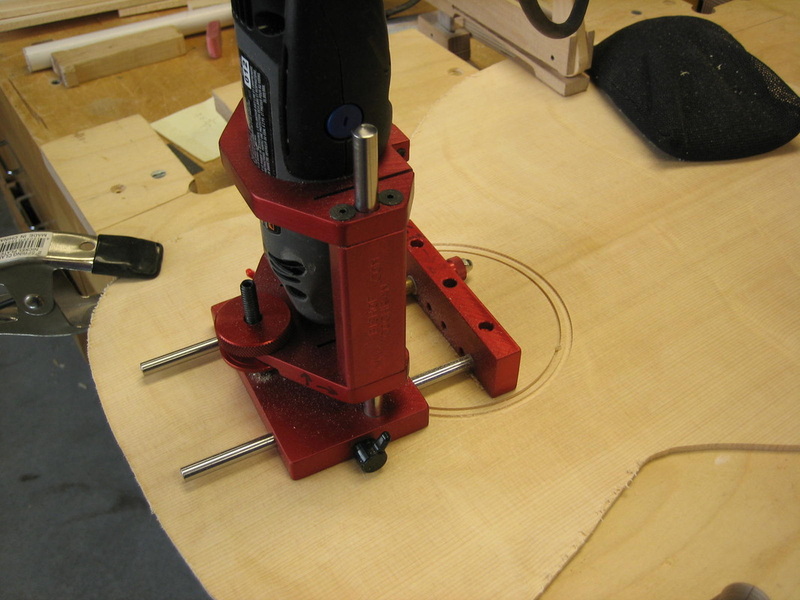 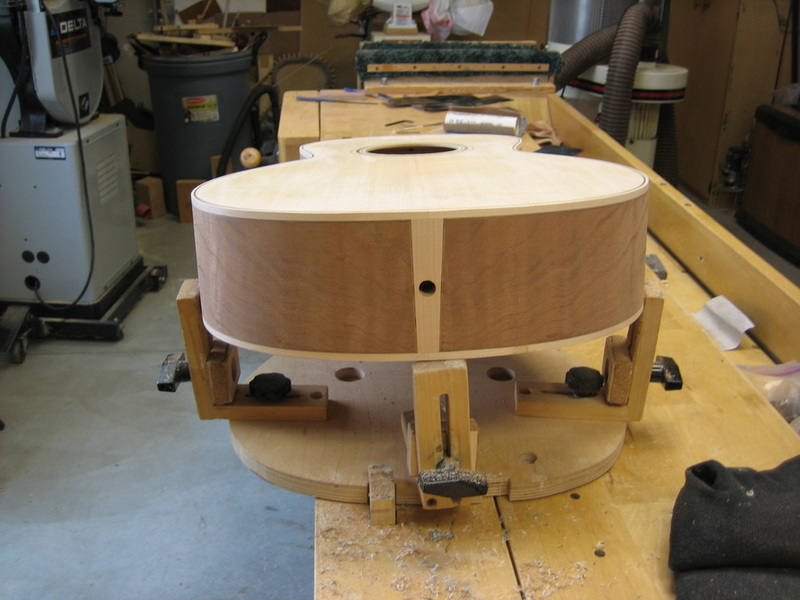 I will use that time to make the bridge and finish the neck with Water-lox.